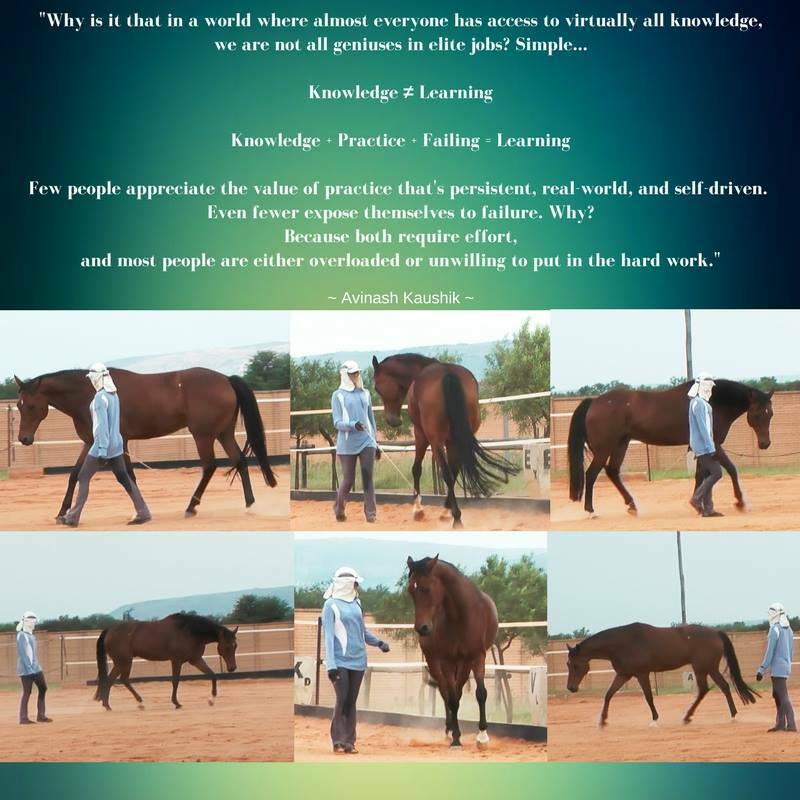 ST Instructor Zaneta Georgiades from South Africa passed the Liberty Grade 4 Touchstone with her gelding Delightful! In the process, Zaneta submitted four Liberty videos on the level of Grade 4, and received four lessons. And we discussed all four lessons in the April Mastermind Session with all Mastery student. “We had a super Mastermind session last night where Marijke took all the listeners in detail through the process of my Liberty 4 Touchstones. It was amazing to go in detail through all the subtleties again thanks to Marijke’s expert eyes! In my third video, I experienced what Angela Duckworth talks about in her book Grit as ‘flow’. Where everything feels effortless and both Delightful and I were in ‘the zone’. Now ‘flow’ is something that arises from ‘deliberate practice’ and as yummy as ‘flow’ feels is as challenging as ‘deliberate practice’ is! So Delightful and I tasted the fruits of the previous weeks’ ‘deliberate practice’ and it was delicious! Marijke came back with awesome feedback, pointing out the improvements from the first two videos and how we had found the balance of ‘Steinbrecht forward’ and connection and collection. In the Additional coaching here, the tip was that, over time, I could gradually increase the range – so we could strive for even longer, more elastic strides in the forward flow and even more powerful sitting behind in the collection and connection. It was fascinating to feel that trying to ‘pull on the grass’ to make it grow just breaks the grass! So we sent in our fourth video and the feedback from Marijke was once again supportive and spot on – some loss of dialogue and quality because I had lost some of my own centredness and had tipped a little into ‘making’ instead of ‘asking, guiding, inviting’. Another invaluable ‘inside-out’ experience. My experience of submitting Touchstones along with the Additional Coaching, exploring the extremes of the physical and mental quality as well as balancing active doing and more passive allowing has created such a shift and growth spurt in my laboratory with Delightful 濾 It was a huge challenge but SO worth it! — To be brave and submit my Touchstones. There is no such thing as perfect, my horse and I are a work in progress just like everybody else, so we are in good company! — How important both the written feedback AND the additional coaching is! The written feedback gave me something concrete to read and think about – exact guidelines and marks that I could measure my progress with and clearly see where I had ‘gained’ or ‘lost’ something. The additional coaching brought more of the feel and abstract conceptual approach in, where I could dive a bit more into the metaphors and discuss these until I had a better ‘feel’ of them in my imagination. The combination of the more ‘yang’ written pdf and the more ‘yin’ additional coaching was a winning recipe! — When I get my feedback, not to waste time and energy fighting the advice 郎 Just take it all in like a sponge. To be humble and allow the tips to break my belief systems because I don’t know what I don’t know yet, so those belief systems are not serving me! Realize that the process of learning and re-learning is a spiral – I will constantly have to be breaking belief systems of what I thought I knew. And once the dust has settled, I’ll discover that my experience and insight has grown! — Not to let resubmits break my spirit. They are gifts in disguise. The pain of a resubmit is good for me, it creates the ‘healthy stress’ that triggers transformation inside. To welcome them, even while my gremlins grumble in the background, and not to give those gremlins any of my valuable time and attention…  To let the constructive criticisms feed my curiosity instead to go out and discover more. Zaneta Georgiades is an ST Instructor, and Manager Operations of the ST Evaluation Program.